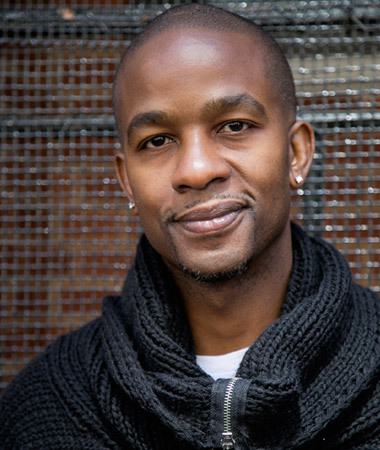 Former NFL Player Wade Davis is a thought leader, public speaker, and consultant on gender, race, and orientation equality. Wade is the NFL’s first LGBT inclusion consultant and currently consults for numerous professional sports leagues on issues at the intersection sexism, racism and homophobia. Wade creates league-wide inclusive leadership strategies, leads inclusion-training sessions for coaches and players, and builds and launches national engagement initiatives. In addition to his work in sports, Wade currently consults for tech giant Google and advises other Fortune 500 companies to co-create transformative solutions to build inclusive corporate cultures and coaches senior leaders to adapt their leadership styles to a more diverse employee population. Wade is also a senior diversity and inclusion consultant at YSC, a global think tank and leadership-consulting firm. At YSC, Wade partners with corporations to create transformative inclusion strategies and programs. A former national surrogate for President Obama, Wade has been an Adjunct Professor at the NYU School of Professional Studies Tisch Institute for Sports Management, Media, and Business and has also served as an Adjunct Professor at the Rutgers University School of Public Affairs and Administration. He continues to lecture on the intersections of race, sexuality, gender, and sports at universities nationally and internationally. Wade Davis was born in Little Rock, Arkansas and graduated from Weber State University in Ogden, Utah with a Bachelor of Science in Business Administration. In 2014 Wade received an honorary Doctor of Public Service degree from Northeastern University for his leadership and ongoing efforts to eradicate homophobia and sexism in athletics.